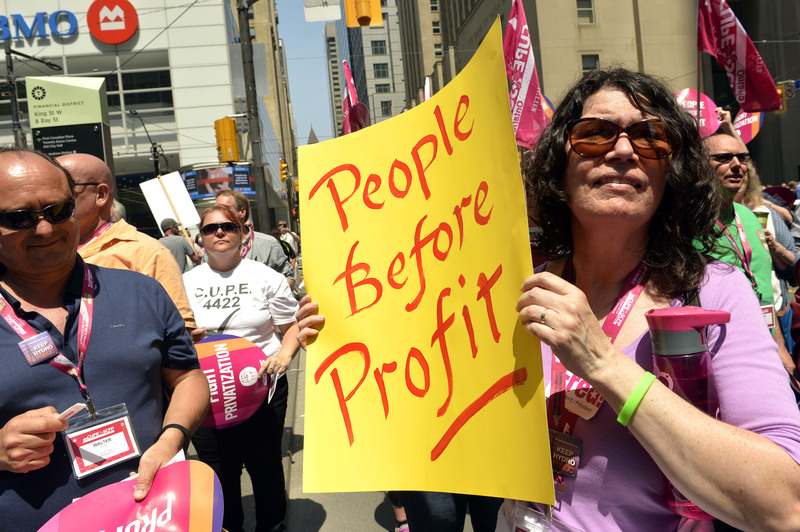 TORONTO, ON – Working people in Ontario are struggling to keep their heads above water and decisive government action is required, said CUPE Ontario President Fred Hahn in response to the Changing Workplaces Review interim report released today. It is widely recognized that both the Employment Standards Act and Labour Relations Act need to be amended in order to provide greater protection for Ontario workers. Today’s much anticipated interim report by the Ontario government’s Changing Workplaces Review Special Advisors, substantively outlines the need for fundamental changes to address the increasing precarious nature of work. Ensuring successor rights so that existing union members don’t lose their representation if the services they provide are moved to another contract provider.